Recently someone told me that I am a hard preacher. This could be either good or bad, depending on what is meant by hard preaching. In context to the conversation, I took it as a compliment to my firm stance for my convictions. Many people deplore hard preaching that may prick their consciences, but rather cry, "Prophesy not unto us right things, speak unto us smooth things, prophesy deceits" (Isaiah 30:10). They demand smooth things that will lull them into a spiritual sleep. They want easy listening sermons that will tickle their ears just as predicted by the apostle Paul: "For the time will come when they will not endure sound doctrine; but after their own lusts shall they heap to themselves teachers, having itching ears; And they shall turn away their ears from the truth, and shall be turned unto fables" (II Timothy 4:3-4). Sometimes someone will say to me, "You sure stepped on my toes in your sermon." My friend, if I step on your toes, I missed, because I was aiming at your heart. In John chapter six, after hearing a sermon from Jesus in the synagogue, as He taught in Capernaum concerning His being the bread which came down from heaven and that those who would eat of His flesh and drink His blood would live forever, "Many therefore of his disciples, when they had heard this, said, This is an hard saying; who can hear it?" (John 6:60). Yes, Jesus, the master preacher, was a hard preacher! Why should I consider it anything less than a compliment if I am accused of being a hard preacher, regardless of the intent of the one making the remark, because that puts me in very good company. When the first gospel sermon was preached in the New Testament on the day of Pentecost, Peter was talking to a group of Jews who had been guiltyof crucifying the Son of God. He said, "Ye have taken, and by wicked hands have crucified and slain" (Acts 2:23). Peter could have preached any number of sermons to that audience and never have mentioned their sins. He could have preached the truth for a long time, he might have even held a gospel meeting in their midst and never mentioned the fact they had been guilty of crucifying the Son of God. But he didn't do that. In the very first sermon, he said, "Ye have taken, and by wicked hands have. crucified and slain." That sermon might have been good preached to someone who was not guilty about those who were, but that is not the place the apostle preached it. He preached it to those who were guilty and left no doubt as to what he was saying. He said, "Ye have taken." They knew that he was preaching the truth and they knew that they were guilty. That sermon brought conviction to their hearts and converted them to the truth. Today the church is the body of Christ (Colossians 1:18). People today can crucify the Son of God afresh (Hebrews 6:6), and when we begin to crucify the spiritual body, that's worse than crucifying the fleshly body of Christ. And when we find those who are guilty in our audience and tell them that they are crucifying the spiritual body of our Lord Jesus Christ, that is hard preaching, but it needs to be preached just as firmly as the apostles did on the day of Pentecost. Paul went to a place where the cultured and educated people of the world had come together. In the city of Athens at Mars Hill, there was a group of philosophers and men who had nothing to do except tell and hear some new thing. They were the educators of the day. They were the ones who prided themselves on their wisdom and their philosophy. When Paul began to preach to them, he mentioned the fact that they were idolaters. He said, "For as I passed by, and beheld your devotions, I found an altar with this inscription, TO THE UNKNOWN GOD. Whom therefore ye ignorantly worship, him declare I unto you" (Acts 17:23). Now Paul did not say that to a group of ignorant people, nor did he say it to people who were untaught concerning the affairs of this world. He said it to people who were educated and enlightened according to the customs of the day, telling them that they were ignorant of God. He said, "Him declare I unto you." Today we must preach hard to those who do not know God and those who do not know how to worship God according to His will. It takes hard preaching to reach those who are conceited and vain in their wills. 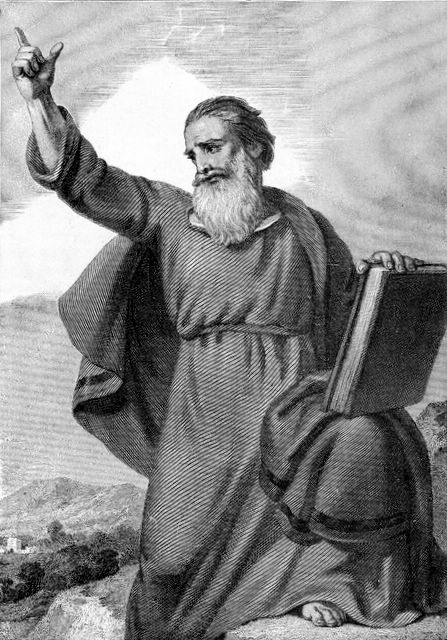 Paul was a hard preacher in preaching to his own brethren. Peter had been acting a hypocrite with others. He had been teaching one thing in one place and practicing something else in another. Now Peter was a brother in Christ. Not only that, but he was a gospel preacher. Furthermore, he was an inspired preacher, and yet he was to be blamed. "But when Peter was come to Antioch, I withstood him to the face, because he was to be blamed. For before that certain came from James, he did eat with the Gentiles: but when they were come, he withdrew and separated himself, fearing them which were of the circumcision. And the other Jews dissembled likewise with him; insomuch that Barnabas also was carried away with their dissimulation. But when I saw that they walked not uprightly according to the truth of the gospel, I said unto Peter before them all, If thou, being a Jew, livest after the manner of Gentiles, and not as do the Jews, why cornpellest thou the Gentiles to live as do the Jews?" (Galatians 2:11-14). So you see that Paul, when he found his brethren in error, corrected them�withstood them to the face! That was hard preaching! It takes hard preaching today to reprove and correct brethren who are in error. 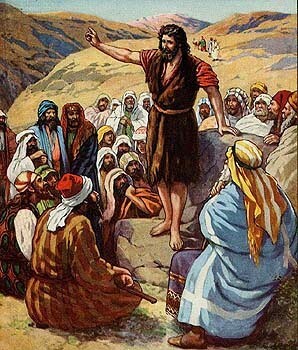 The instructions for doing this are found in our preaching manual: "I charge thee therefore before God, and the Lord Jesus Christ, who shall judge the quick and the dead at his appearing and his kingdom; Preach the word; be instant in season, out of season; reprove, rebuke, exhort with all longsuffering and doctrine" (II Timothy 4:1-2). Also, "Them that sin [elders, gfh] rebuke before all, that others also may fear. I charge thee before God, and the Lord Jesus Christ, and the elect angels, that thou observe these things without preferring one before another, doing nothing by partiality" (I Timothy 5:20-21). Hard preaching? Yes,indeed! These instructions scare the gospel preacher almost to death! However, it is his unpleasant duty to teach brethren who are in sin, withstand them to the face, before others, if need he. If we are preaching to an audience where hypocrites are to be found, we shouldn't try to cover-up their hypocrisy and make their sin look respectful. We need to preach and teach against the sins of which they are guilty. The scripture reference is Matthew chapter fourteen. John had been imprisoned, and while he was in prison he had the opportunity to talk to Herod. Herod was living with his brother's wife. Now John could have preached much truth and never mentioned the sin of adultery. But when he looked at Herod and saw the sin of which he was guilty, he said, "It is not lawful for thee to have her" (Matthew 14:4). In other words, he pointed out the specific sin that Herod was guilty of and said that it was not lawful for him to live like he was. He could have preached a sermon on baptism, or a sermon on love, or a sermon on any number of good things, and maybe would not have bothered Herod very much. But he preached on adultery! He told him he was living in sin. That one sermon finally cost John his head, but nevertheless, he preached the truth to those who needed to hear it. That was indeed hard preaching! Today, gospel preachers must do some hard preaching to those who are living in adultery. We should not skip over it and say maybe it will be all right (as many preachers are doing). We need to cry the same thing that John did long ago. We need to say, "It is not lawful for thee to have her" (Matthew 14:4; 5:32; 19:3-9). Regardless of the consequences, we need to preach the truth today to those who need to hear it. To those who are guilty of some sin, that sin needs to be pointed out and specifically condemned when there is need. We need to say, as did John to those who are living in adultery, "It is not lawful for thee to have her." That is hard preaching, but it may save a soul from being lost in hell. When my preaching seems hard, it is not just because I want to he a hard preacher, but because I love you. Some of my brethren wish that I didn't love them so much. My friend, I love you too much to see you lose your soul if there is any-thing that I can say to prevent it. If you are lost, I want to make hell so real to you that you can almost feel the heat and smell the sulfur.